What's the price of these wheels? PM price of this wheel please. $850 + shipping with core exchange! Only mod you can make that you use every single time you drive the car - it's a no - brainer. 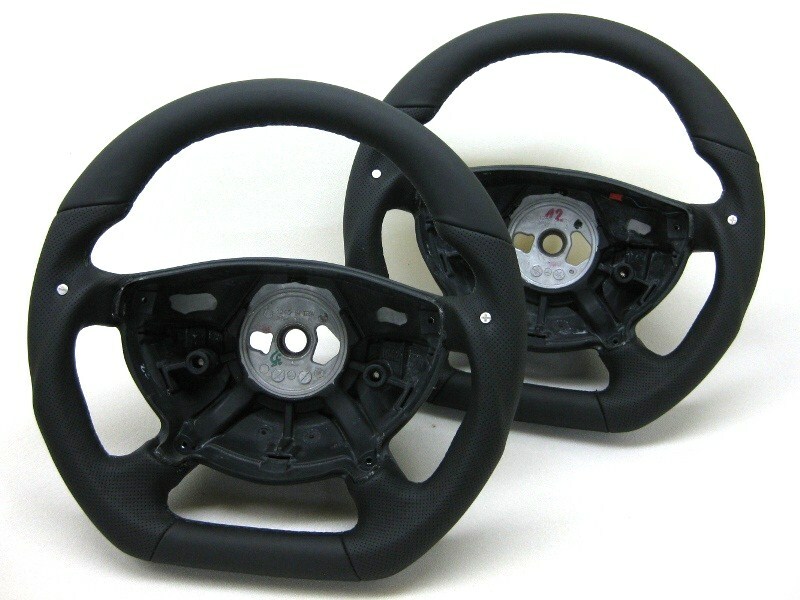 . .
Can you make a steering wheel for my GTR? Ivan is the master at awsome steering wheels! I am on my second one and love everytime I get in the car and grab it! Has anyone done a wheel in Alcantra or suede? I'd love to lose the "slippery" feel of the factory leather...though I'm sure it would be a nightmare to keep clean. Is it possible to get one in all Alcantra one or would you not recommend that due to maintanence, keeping it clean? Sorry newbie when it comes to steering wheels. 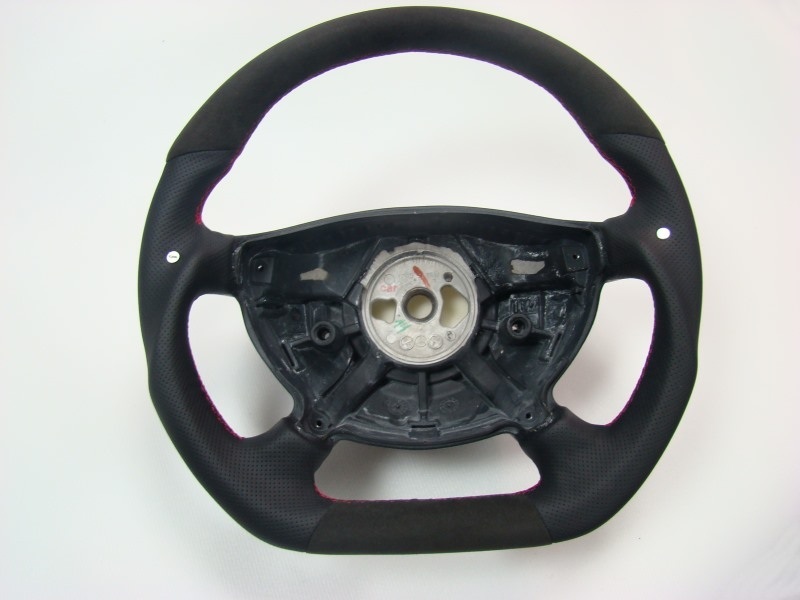 We made steering wheel like this before, you can reverse the material or even have the whole wheel in alcantara if you want! Gotcha, thanks! Sending you a PM now. can we get a group buy going i would love to get a wheel like this? You wanna sell me your wheel since i missed out on the Exhaust lol? 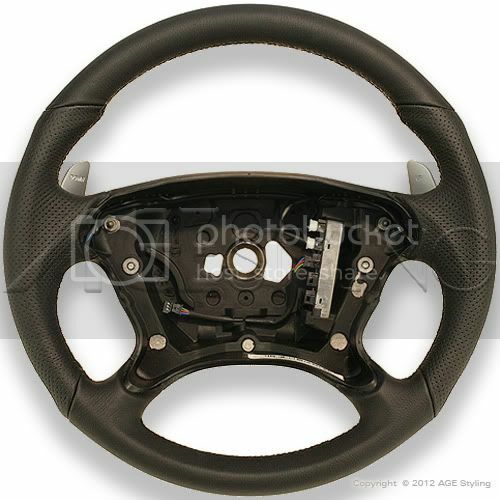 This is an OEM CLS63/E63 steering wheel, you can get this wheel from dealers! Can you PM me a price for this wheel !! PLUS ONE NEED A QUOTE. Installed the DTM style wheel a little while ago. Very easy to swap out and it made a world of difference in the feel/look of the interior. Exactly what I wanted, which was something just like on the e60 M5.